Adapt Ready attends annual conference highlighting the latest innovations in energy intelligence. 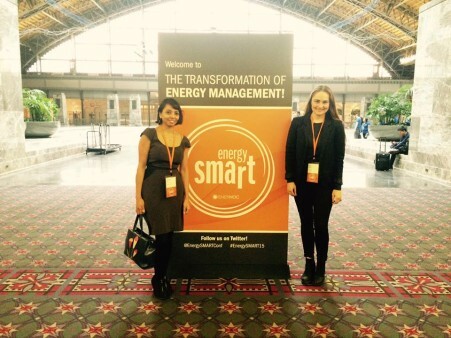 Adapt Ready CEO and Co-Founder Shruthi Rao and Business Development Associate Anna Eriksson attended the EnergySMART Conference 2015 March 24-26. Adapt Ready CEO Shruthi Rao and Business Development Manager, Anna Eriksson. EnergySMART is an annual conference highlighting the latest innovations in energy intelligence. Click here to learn more.